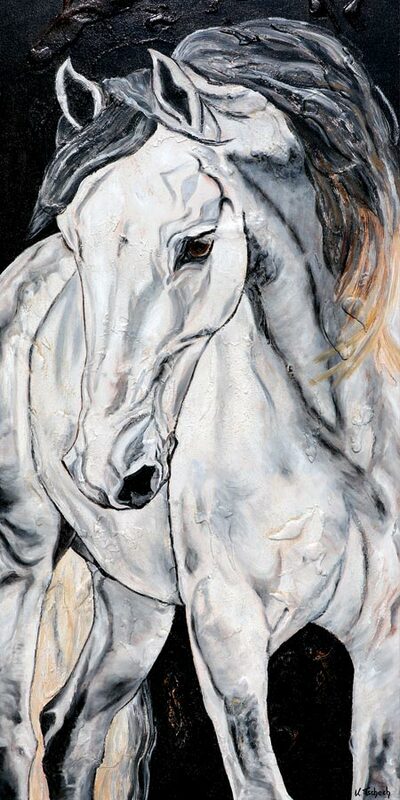 In this section you can order unique and sensitively designed horse portraits on canvas or acrylic glass. 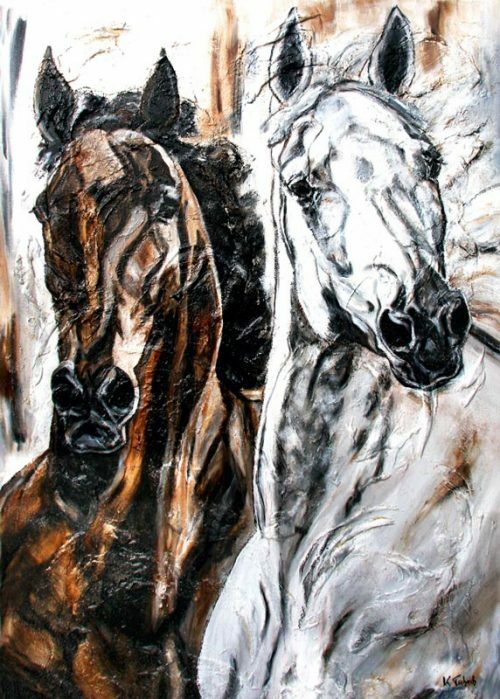 Each individual horse painting is the collector’s item of a horse friend who had his horse immortalized on canvas by Kerstin Tschech. 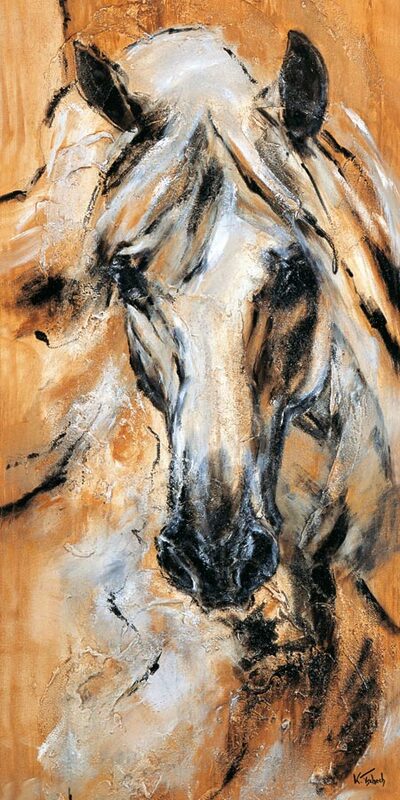 When portraying these beauties, the artist pays particular attention to the individuality and authenticity of each horse. 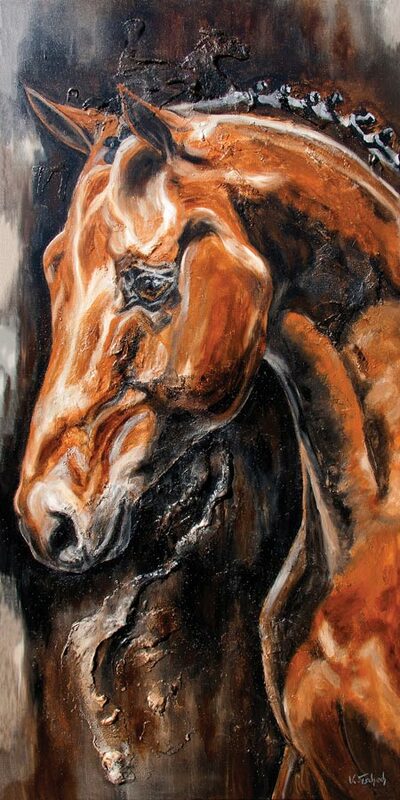 She wants to trigger emotions in the horse owner by capturing the personality of his horse and transporting it to him. 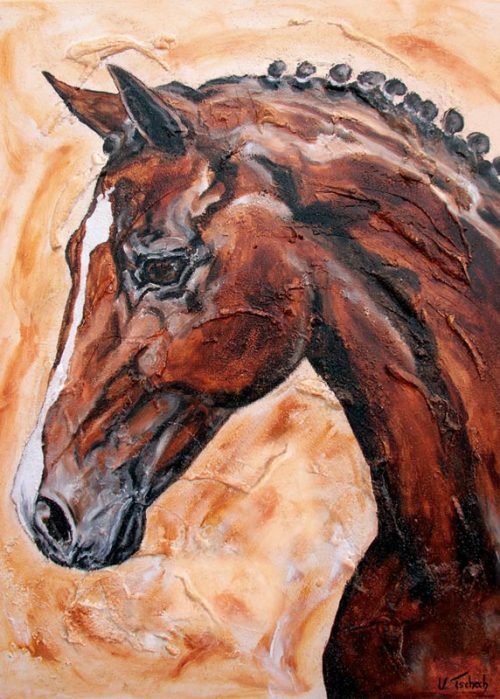 Thus a timeless souvenir is created and if your horse resembles a selected horse motif or you have a memory of a certain horse, you can also bring a perfect work of art into your home. 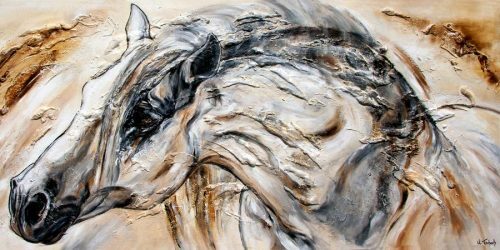 With a self-portrait, a family portrait or an animal portrait you would like to capture something particularly valuable in a picturesque way. 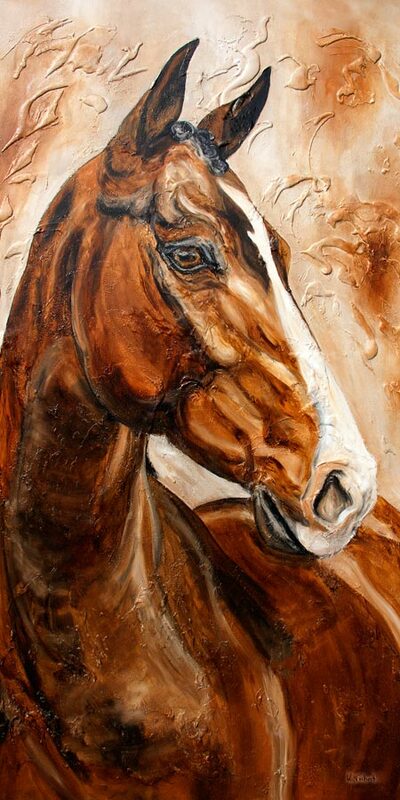 This also applies to horse portraits. 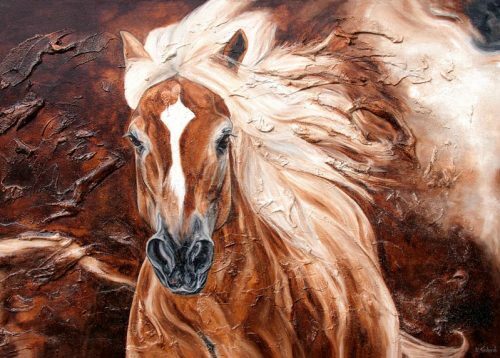 Here, the recognition value and the authenticity of the horse are on the first place. 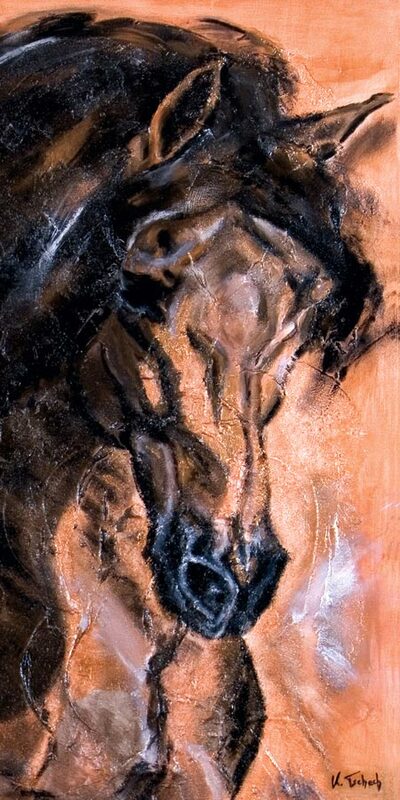 Therefore a detailed reproduction and a good interpretation ability is required from the artist. 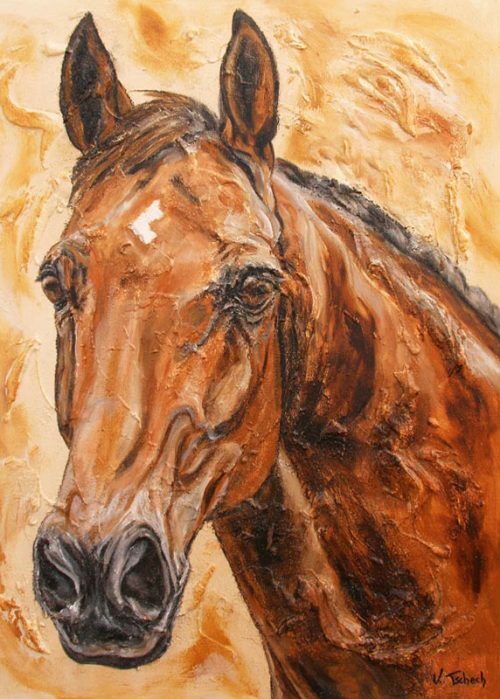 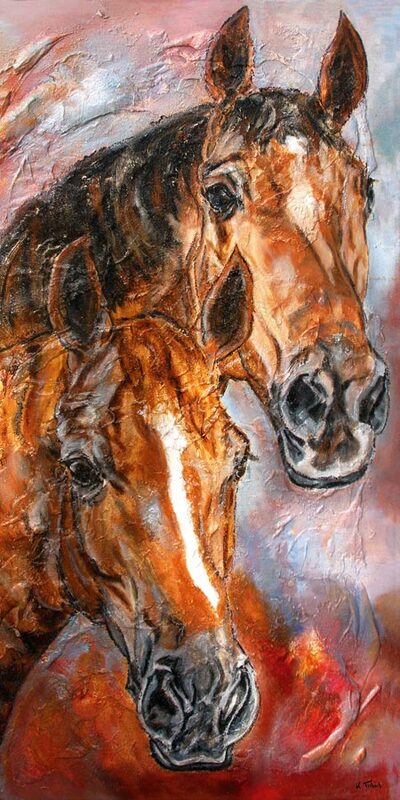 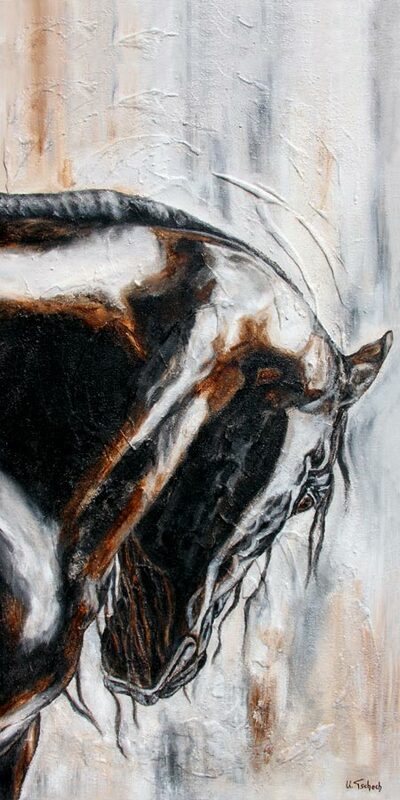 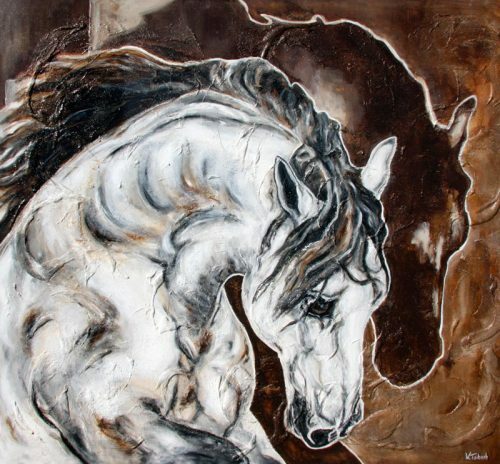 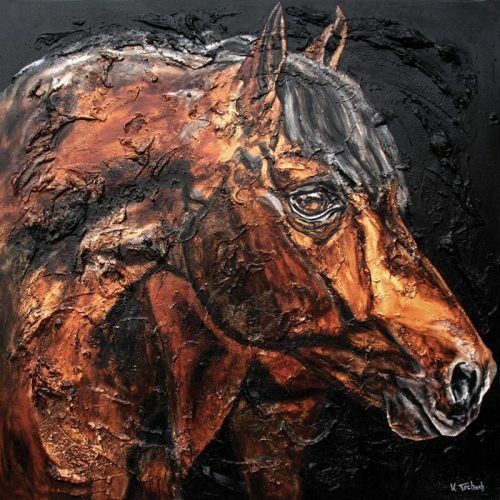 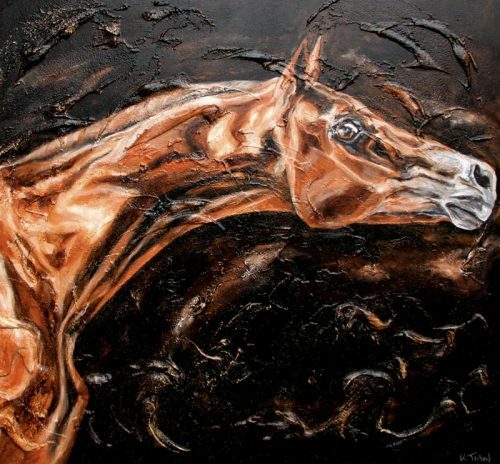 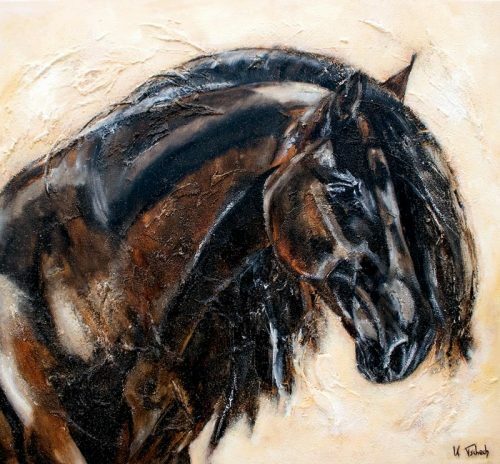 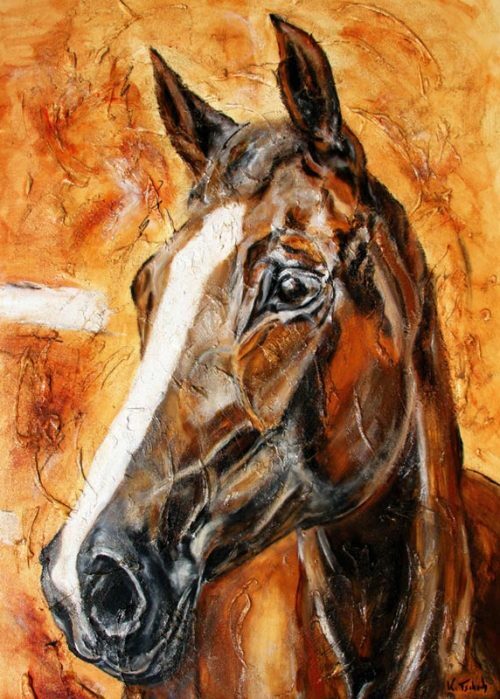 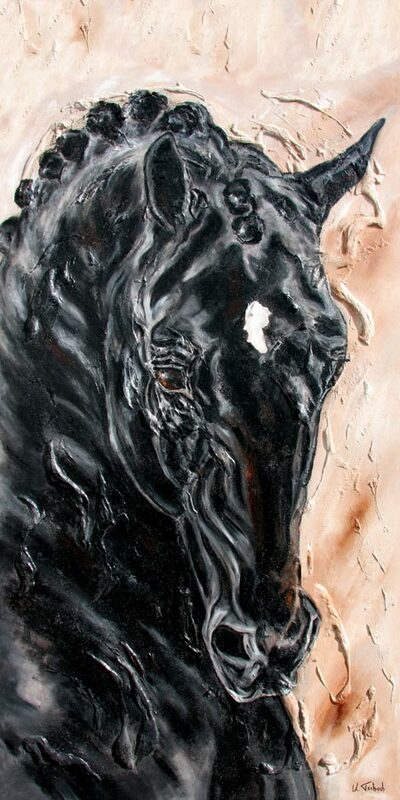 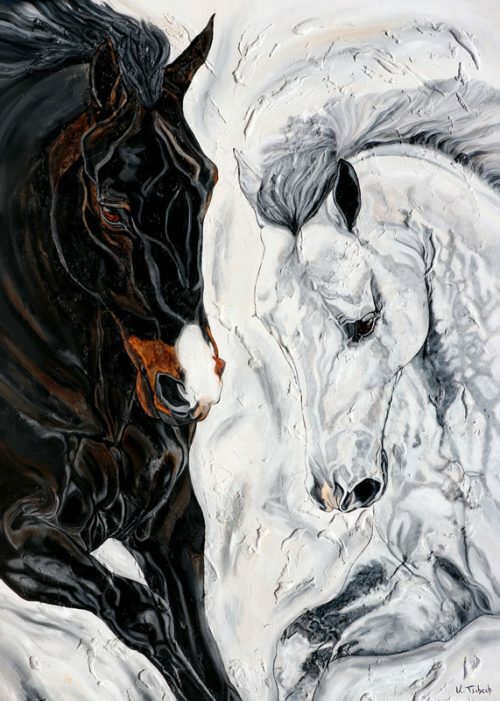 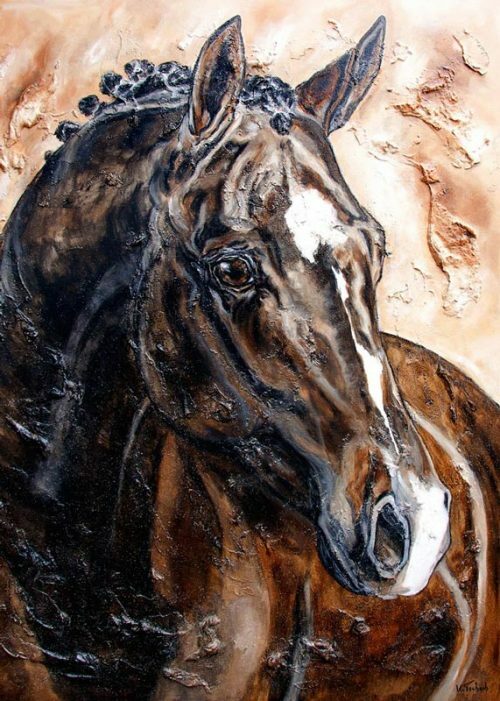 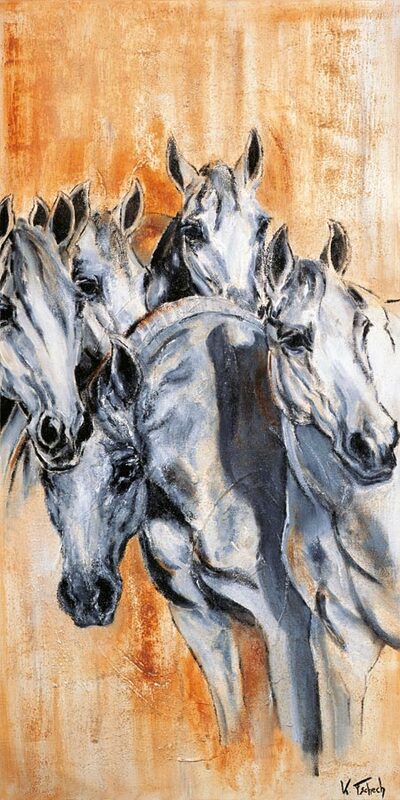 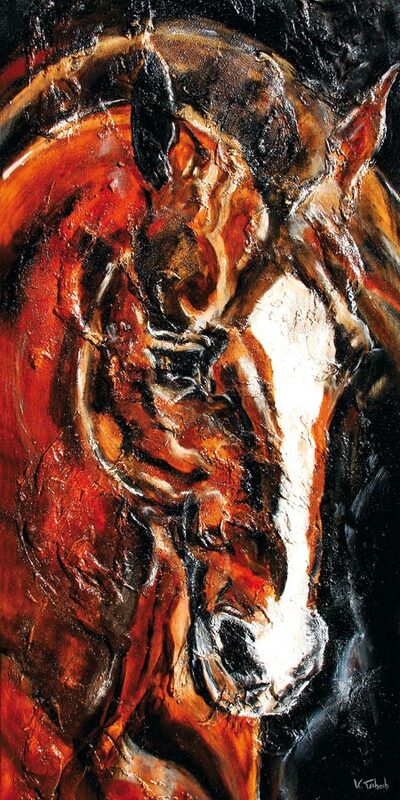 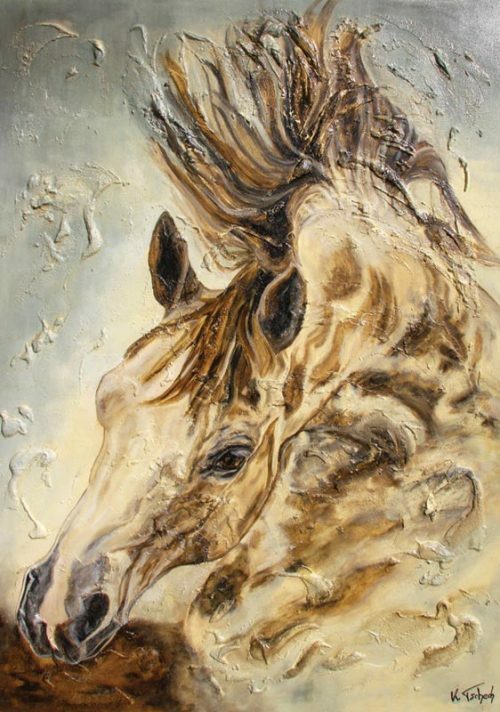 For Kerstin Tschech, the perfect realization is achieved when the character of the horse is immortalized on the canvas, abstract or detailed, depending on the client’s taste. 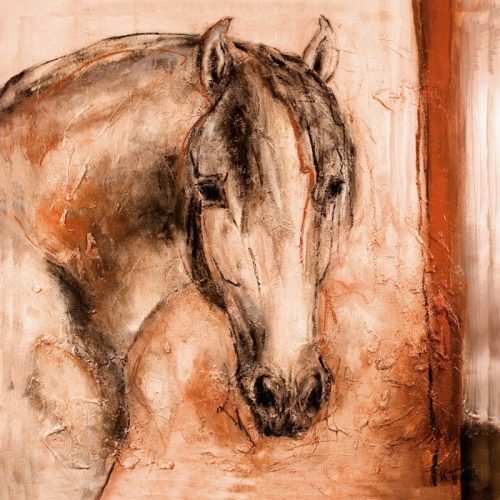 n order to give the horse portrait a noble effect within your own walls, the artist recommends in most cases a portrait canvas print. 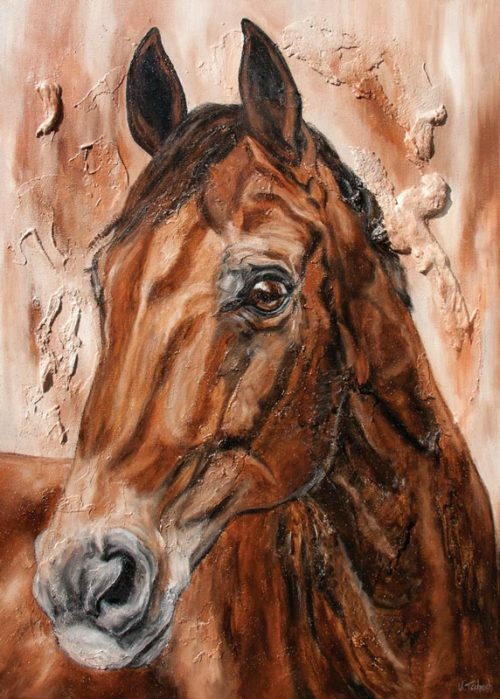 When choosing your favourite horse portrait, you can be inspired by a selection of different horse breeds. 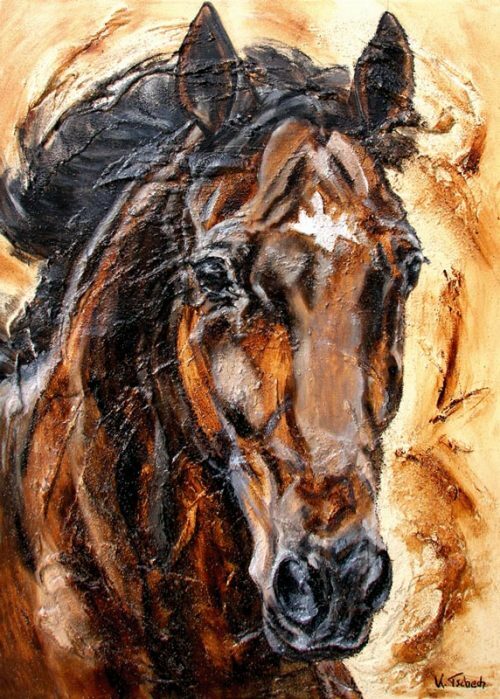 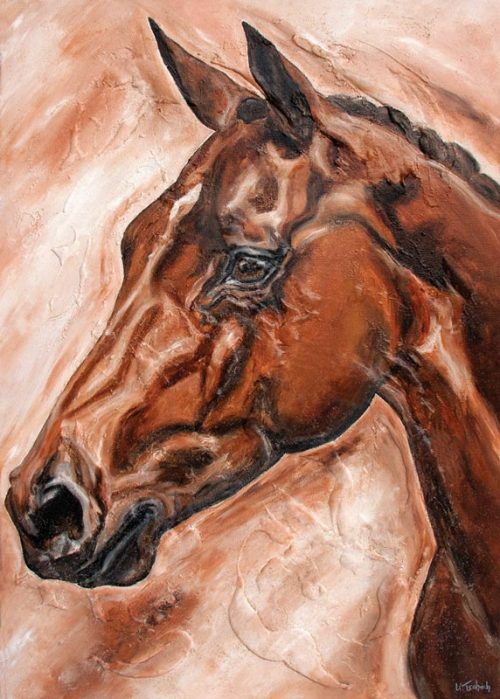 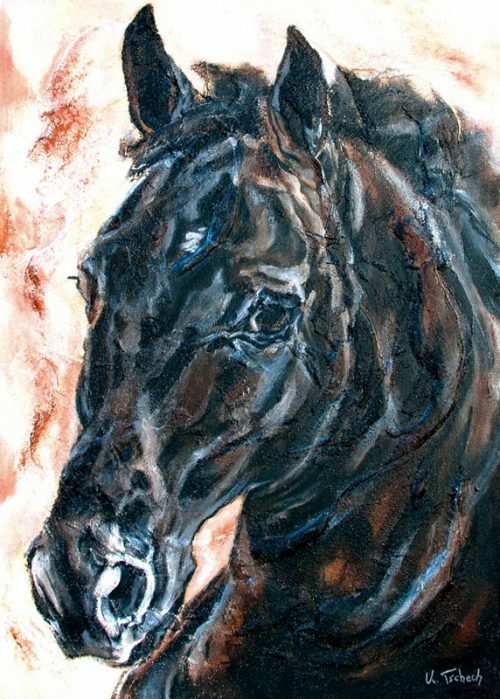 If you would like to have your own horse painted on canvas as a portrait of your horse, you are welcome to order this from the artist. 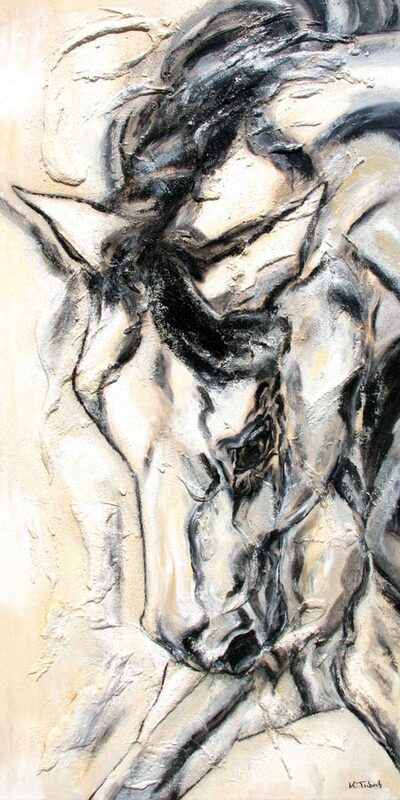 More information at www.kerstin-tschech.com.